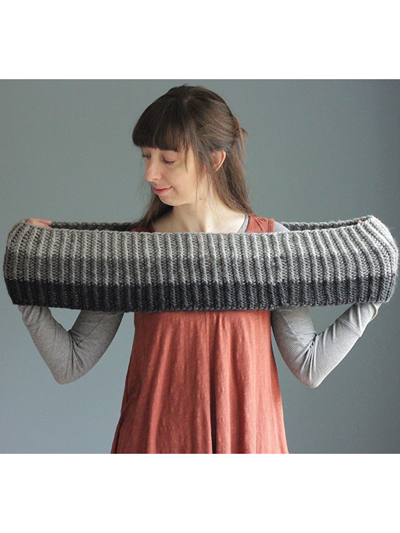 Perfect for gift making or yourself! 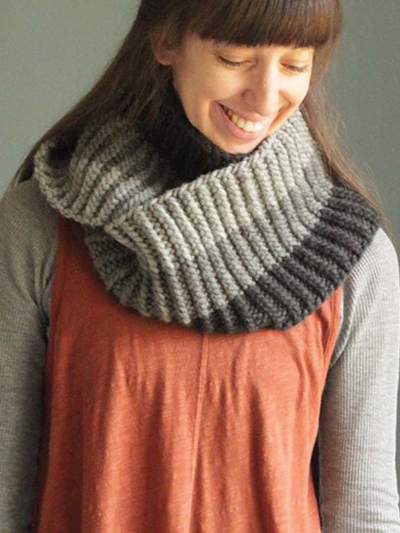 Gray Street is an infinity-style cowl that is knit in the round with bulky-weight yarn and features a twisted rib stitch pattern. 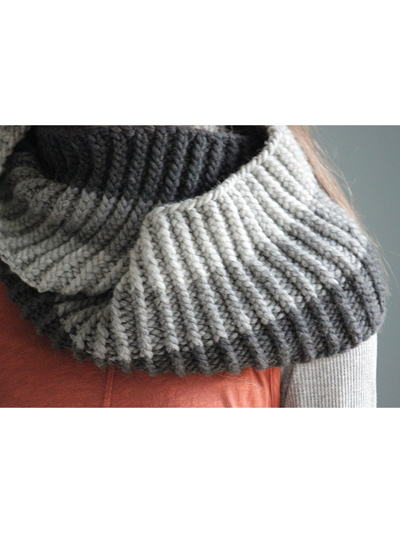 Have fun playing around with color combinations in this warm and squishy cowl. 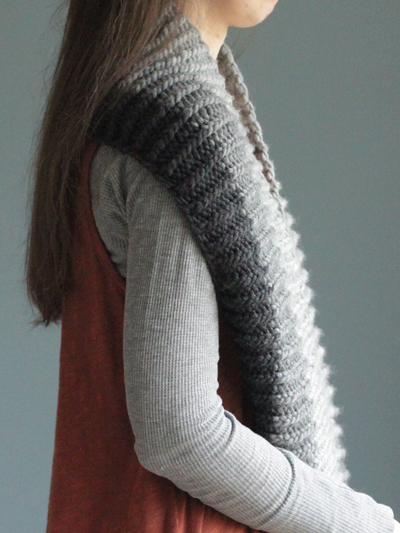 Knit with 85 yds each of 3 colors in bulky-weight yarn using U.S. size 15/10mm needles. Finished measurements: 50" in circumference.